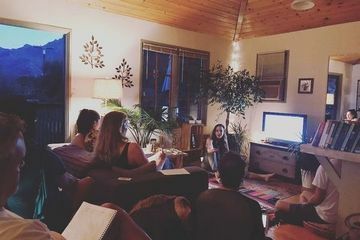 The purpose of this meetup is to create a thriving community of astrology enthusiasts in Topanga and the surrounding areas. Meetings are open to ALL levels and you do not need any knowledge of astrology in order to attend. An open, inquisitive mind and a desire to learn about oneself and others is the only requirement. The meetings will be structured as "astrology circles" and will take place at my personal residence in the Old Canyon area of Topanga. I will discuss the happenings in the sky and educate the group about what themes are being brought to the surface by the current transits. There will be opportunity to learn more about your own natal chart and how your chart interacts with the current sky. My intention is to build a community of like-minded individuals and introduce as many people as I can to astrology. Astrology is a sacred art a powerful tool for self-actualization that has been categorically misunderstood and misused for decades. My intention is to help others learn about astrology's true nature and share how meaningful astrology can be in ones life.